What is fixed income and which bond mutual funds are best for a simple but effective income strategy? Investing in fixed income securities, such as bonds, can be complex and even risky if you are not aware of the basics. Fixed income can refer to an investment strategy or style that is intended to produce relatively fixed or stable income or it can also refer to investment types within an investment portfolio. From a lifestyle perspective, fixed income can also reflect a person's income. When building a portfolio of mutual funds, the term fixed income generally refers to the portion of the portfolio that consists of funds that are relatively low in market risk and they pay interest to the investor for purposes of generating income. The overall idea for the fixed income investment strategy is to generate stable and predictable returns. The most common purpose for the fixed income investment strategy is for retirement. This is a time in life where achieving stable and predictable returns is most important. A person in retirement may rely on income sources, such as Social Security, pensions, annuities and/or investment accounts, that produce the same amount of income (or an amount increasing at a small, nominal rate) on a year-to-year basis. In different words, this person's income does not vary materially over time and they may have very little ability to absorb significant increases in periodic expenses. Bonds are debt obligations issued by entities, such as corporations or governments. When you buy an individual bond, you are essentially lending your money to the entity for a stated period of time. In exchange for your loan, the entity will pay you interest until the end of the period (the maturity date) when you will receive the original investment or loan amount (the principal). 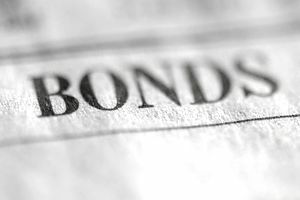 Types of bonds are classified by the entity issuing them. Such entities include corporations, publicly-owned utilities, and state, local and federal governments. Bond funds are mutual funds that invest in bonds. Put another way, one bond fund can be considered a basket of dozens or hundreds of underlying bonds (holdings) within one bond portfolio. For example, a corporate bond fund will primarily hold bonds issued by corporations. I will explain in more detail the types of bond funds later in this article. When you hear the term "fixed income" you may think that all fixed income securities or investment types do not fluctuate in value, but this is false. It is true, that when you buy a bond, you receive a fixed payment over a stated period of time (until the bond "matures", when you receive your initial principal amount back). However, the price of the bond can go up or down. Therefore, if you want to sell your bond before it matures, and the price has gone down, you will end up receiving less than the principal amount you had invested. Investing in bonds generally, carries a very little risk when compared to stocks. However, bonds and bond mutual funds are not risk-free. The biggest risk of investing in bonds is interest rate risk. When interest rates rise, bond prices go down. For example, let's say you buy a bond that pays 2.0% interest and the maturity is 5 years from the date of purchase. Then, 2 years later, prevailing interest rates rise and an investor can buy a similar bond at the same price but this new bond pays 3.0%. If you want to sell your bond that pays 2.0%, you will have to accept a discounted price because who wants to pay full price for a bond that pays less interest than other bonds? Interest rate risk can be more of a concern for bond mutual fund investors than bond investors. As previously explained, bond funds work differently than bonds because mutual funds consist of dozens or hundreds of holdings and bond fund managers are constantly buying and selling the underlying bonds held in the fund. Bond funds do not have a "price" but rather a Net Asset Value (NAV) of the underlying holdings. Managers also have to meet redemptions (from other investors withdrawing money from the mutual fund). So a change in bond prices will change the NAV of the fund. In an environment of rising interest rates, bond prices are generally falling. Again, this is because bond investors don't want to buy bonds that pay lower interest rates unless they receive them at a discount. Furthermore, the longer the maturity, the larger the swing in price in relation to interest rate movements. In a period of rising rates and declining prices, the long-term bond funds will decline in value more than intermediate-term and short-term bonds. Therefore some investors and money managers will shift their fixed income investments to shorter maturities when interest rates are expected to rise. When interest rates are declining longer maturities (i.e. long-term bond funds) can be a better bet. In summary, a bond mutual fund can lose value if the bond manager sells a significant amount of bonds in a rising interest rate environment and investors in the open market will demand a discount (pay a lower price) on the older bonds that pay lower interest rates. Also, falling prices will adversely affect the NAV. Bond mutual funds are categorized according to the primary objective of the fund, which means the category will describe the types of bonds held in the portfolio. Bond funds can be comprised of several types of bonds, such as corporate or government, and then further defined by time period to maturity, such as short-term (less than 3 years), intermediate-term (3 to 10 years) and long-term (10 years or more). The name of a bond fund often gives you a clue about its objective and thus its holdings. For example, if you are considering buying shares of a bond mutual fund, named "XYZ Intermediate-term Corporate High Yield Bond," it means the portfolio consists primarily of corporate bonds with terms to maturity of 3 to 10 years. High yield bonds, also known as junk bonds, tend to pay higher interest but carry more default risk, which means the company issuing the bond may have a questionable credit-paying capacity. Beginners are wise to avoid junk bonds and seek intermediate-term bond funds that are well-diversified and low in expenses. The most basic, low-cost and diversified mutual funds are index funds. An index, with regard to investing, is a statistical sampling of securities that represent a defined segment of the market. In different words, if you want to get broad exposure to a large and diverse selection of bonds in one investment, you can use a bond index fund. For the broadest exposure to the bond market, use a total bond market index fund. The "total bond market index" usually refers to Barclay's Aggregate Bond Index, also known as the BarCap Aggregate, which is a broad bond index covering most U.S. traded bonds and some foreign bonds traded in the U.S.
What Are Bond Mutual Funds and How Do They Work?